His 3000 square foot basement house 6 layouts and the oldest operating toy train layout in America. James Hall's multi-level standard gauge layout features a 9 stall roundhouse, sixteen 155 freight stations, and operates seven trains. If you visit either, bring a tent. You won't want to leave. 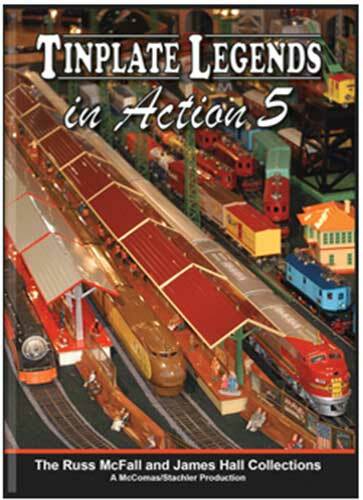 Over one hour of great tinplate action, history and fun.